Professionally educated, earning an Accounting degree & Industrial Engineering degree, working as an Industrial Engineer. I always kept my art close at hand. 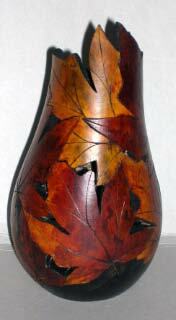 At the age of 15, I started selling, paintings and wood carvings. Six years ago I found gourds. 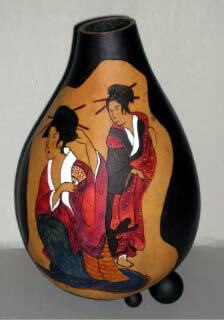 I still sell paintings and wood carvings, however gourds are my joy! 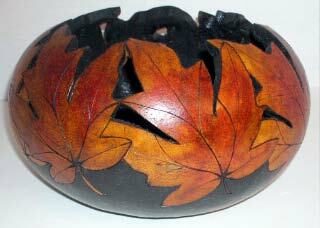 Gourds combine all my creative abilities. 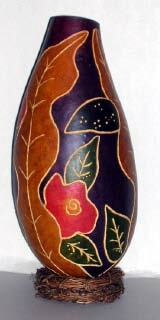 Over the last 6 years we have sold close to 3500 designer gourds. 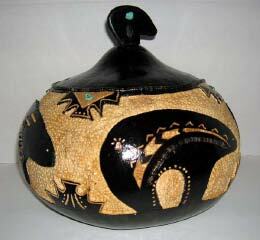 Gourd art dates back to 11,000BC. It is a good feeling knowing I am part of keeping this ancient art alive.